Elevate your trip to the next level while keeping a smart budget. For our around the world trip, we planned on using free hotel stays with hotel rewards programs and free flights with airline award miles. It is not necessary to have massive amounts of points beforehand as you may acquire points by utilizing credit card sign-up bonuses. Stunning view of Kowloon from our FREE room at the Grand Hyatt, Hong Kong. Firstly, this only applies to US citizens with good or excellent credit who reside or are eligible for hotel/airline credit cards. If the above applies to you, read on! Get ready to have the potential to save thousands on your trip! Avoid or pay close attention to cards with annual fees. Many cards will waive the annual fee for the first year. As long as you cancel prior to the one year mark, you likely won’t be charged. Look for airline and hotel credit cards with large signup bonuses once the minimum spend is reached. There are so many cards to choose from! For help, check out websites like www.thepointsguy.com and www.millionmilesecrets.com for detailed advice. Once the minimum spend for a card was achieved, it was tucked away in our wallets and we waited for the points to appear on our statements. Some companies, for example the Hilton brand, offer multiple cards from different credit card companies such as American Express (Amex) and Citi. You can sign up for both cards. If you hit the minimum spend on both cards, you could get both bonuses, exponentially increasing your total rewards points. As an example, you could sign up for the HHonors (Hilton Honors) cards with no annual fee from Amex and get 50,000 bonus points after you spend $750 in the first 3 months. Additionally, you could also sign up for the Citi HHonors card. It also has no annual fee and you could receive 40,000 bonus points after spending $1,000 in the first 4 months. Therefore, you could earn 90,000 hotel points after spending $1,750 on both cards. Not to mention the additional rewards points you will receive for the normal usage of the card. Being a couple, we each applied for cards, which doubled our cumulative points. Also, just being a cardmember could get you additional benefits like Gold or Silver status with Hilton, for example. Having status could make you eligible for extra perks such as free upgrades, welcome drinks, late checkout, etc. Now for the fun part, using your points! Each hotel brand will have a different category or system for assigning the points redemption amount for each hotel. For example, the Aloft Hotel with the Starwood Hotel brand will likely be many thousand points lower than a W hotel in the same city. The Aloft is usually a lower category than the more luxurious W hotel, which will have a lower points redemption requirement per night. Additionally, some countries and regions of the world will have lower points redemptions for hotels of the same brand than in other parts of the world. For example, the Hilton brand hotels in Asia versus the United States. We got more bang for our rewards points staying with Hilton, Hyatt, IHG and SPG in China and India than we would have in the United States. The point redemptions for hotels in Asia and Southeast Asia are surprisingly much lower in comparison to comparable hotel brands in the States . By researching the average points per night in different cities, you can find out where you will maximize your rewards points. We maximized our nights in Beijing, Xi’an, Shanghai, Cambodia, Malaysia, Bali, India and Hong Kong. Also, we avoided using points in countries that had large redemption amounts per night (i.e. Japan and Australia). Instead, we looked at Airbnb or on hotel search engines for better rates. By making a list of which hotel chains are in a city you are going to, it can help guide you to determine which chain to choose redeeming your points with or whether to save the points to use in a different city instead. For example, we waited to use some of our SPG (Starwood Preferred Guest) points for Cambodia, India and Bali. 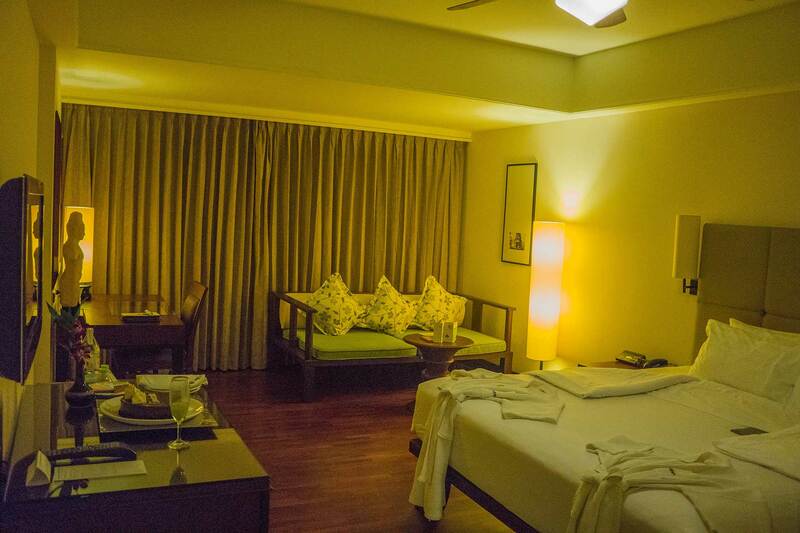 In Cambodia we were able to stay at the luxurious Le Meridien Angkor in Siem Reap for 4 nights with very minimal points. In Bali, we were able to stay at the new Four Points Seminyak (very close to the W Hotel but much fewer points were used for the redemption at the Four Points due to it’s being a Category 2 property). In India, we booked nights at the luxury ITC brand of hotels in Jaipur. 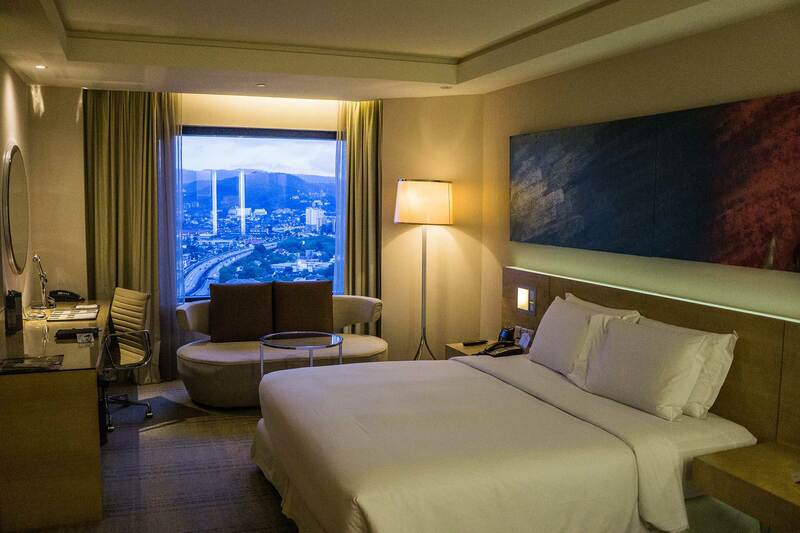 Redeem 4 nights with points and get the 5th night free! Another useful feature with points redemptions is the "stay 4 nights and get the 5th night free" option. When redeeming points for hotels within the Marriott, Hilton and Starwood chains, we are able to stretch our points even further! Certain category rules apply, but staying a 5th night made our stays less rushed and helped to stretch our daily budget. We traveled through China, Hong Kong, Cambodia and Malaysia without paying one penny for for lodging! Not to mention it included room upgrades at the Grand Hyatt Hong Kong, Crowne Plaza Xi’an, Doubletree Beijing and Courtyard Shanghai attributed to our hotel status from being cardmembers. Thus, we cannot stress the importance of nicely asking for free upgrades while checking in with any sort of member status at a hotel chain. 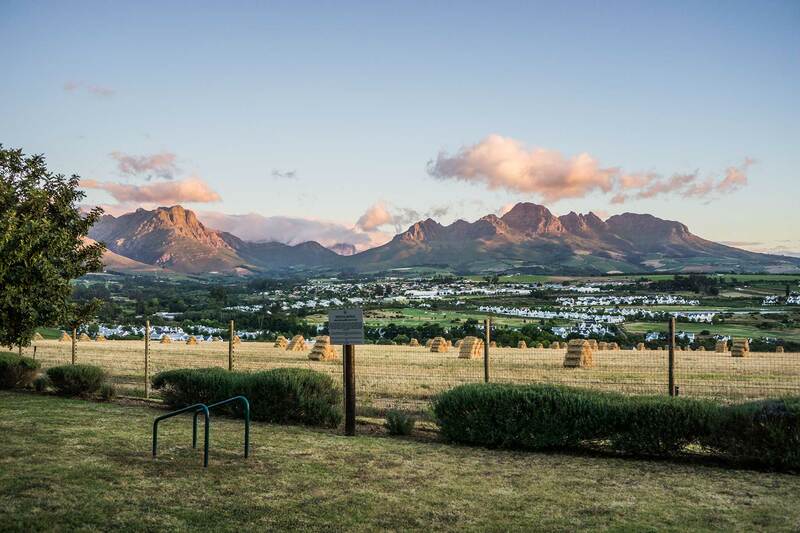 It can take your free stay to the next level from incredible to utterly unforgettable. The Hyatt card will allow you to stay for two nights free in any property around the world once you hit the minimum spend of their card. There are no points requirements for these nights and the sky is the limit with where you would like to stay! You could stay at the Park Hyatt Tokyo or in the Maldives for free! 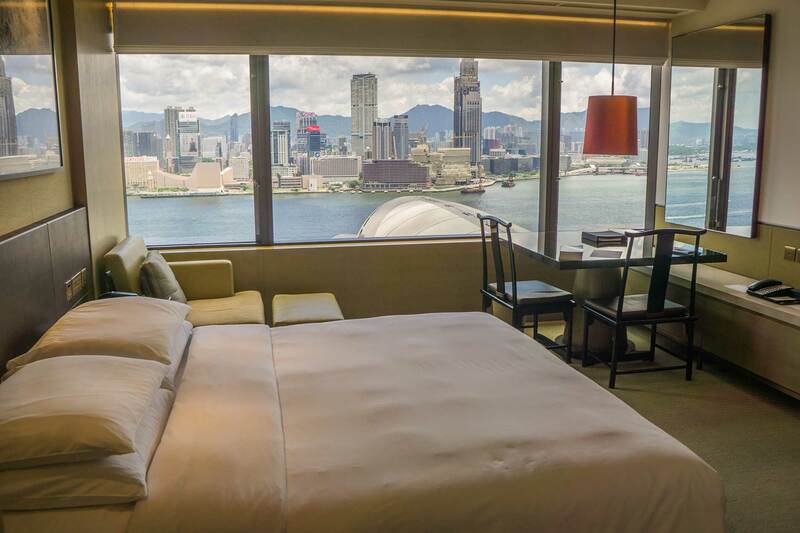 These redemptions could elevate your travel to pure luxury if you choose within the Park Hyatt or Grand Hyatt properties for your stay. We chose to use our 4 free nights (2 per person) at the Grand Hyatt Hong Kong and the Park Hyatt Dubai, saving us over $1000. We flew to New Zealand from Miami for FREE with American Airlines points! We did this by using the sign-up bonus with their credit card. Once we hit their minimum spend, we waited for the 50,000 points each to appear (a total of 100,000 points between the both of us). Using their website, we found the lowest points redemption day to fly and it was really easy to book online. We each flew for 37,500 points per person for one way from Miami to Auckland, New Zeland. After getting to New Zealand for free, the rest of our onward flights were easy and very affordable ($30-200 per flight leg). Flying within Africa also appears to be an incredible value for point redemptions (10K points within the Africa which is even less than flying within the United States on American Airlines)! Hopefully this article is helpful for you to start exploring the world of credit card travel signup bonuses. It could help you save thousands of dollars as it did for us! 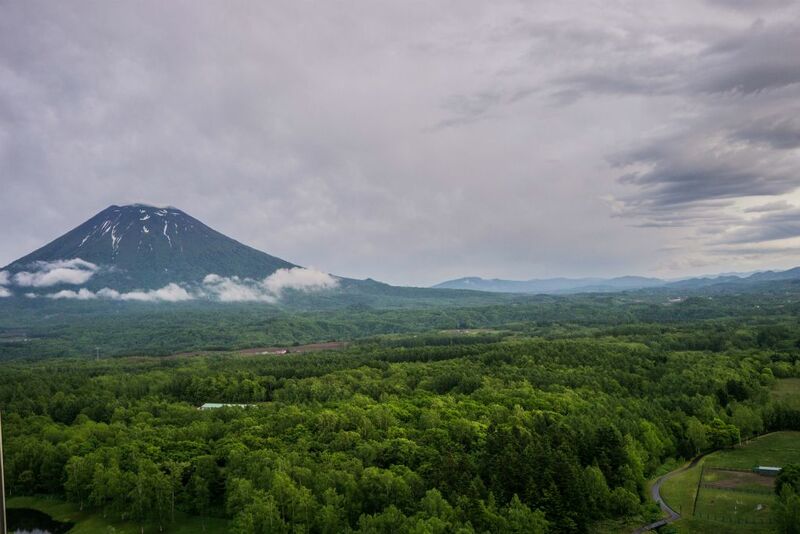 View from our FREE room at the Hilton Niseko, Japan. 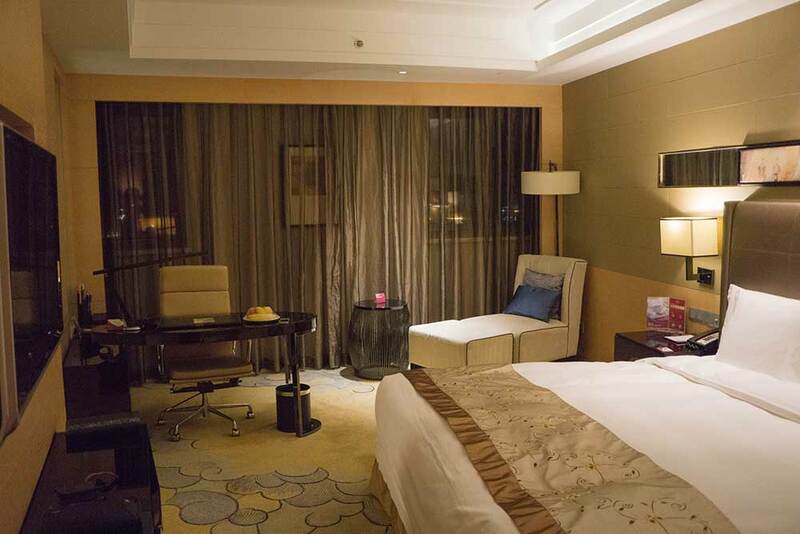 FREE upgrade to a deluxe suite at the Crowne Plaza in Xi'an, China. 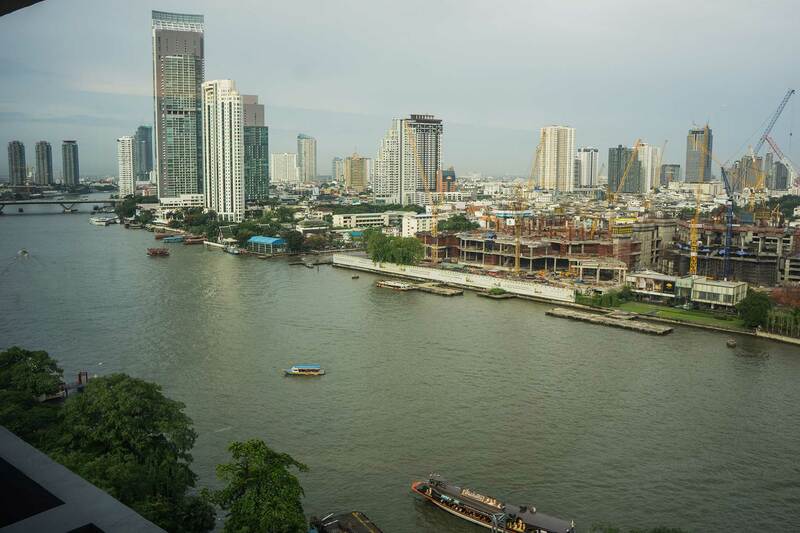 Riverside at the Royal Orchid Sheraton in Bangkok, Thailand. FREE transportation to/from key stops along the river. Amazing welcome cake from the wonderful people at Le Meridien Angkor!!! Great view of the nearby hills from Kuala Lumpur. 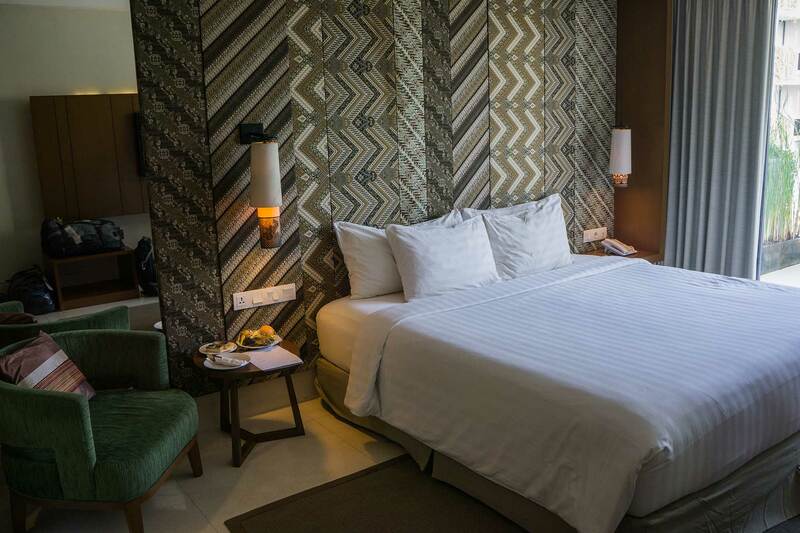 Recently renovated, the Four Points by Sheraton in Seminyak was delightful. 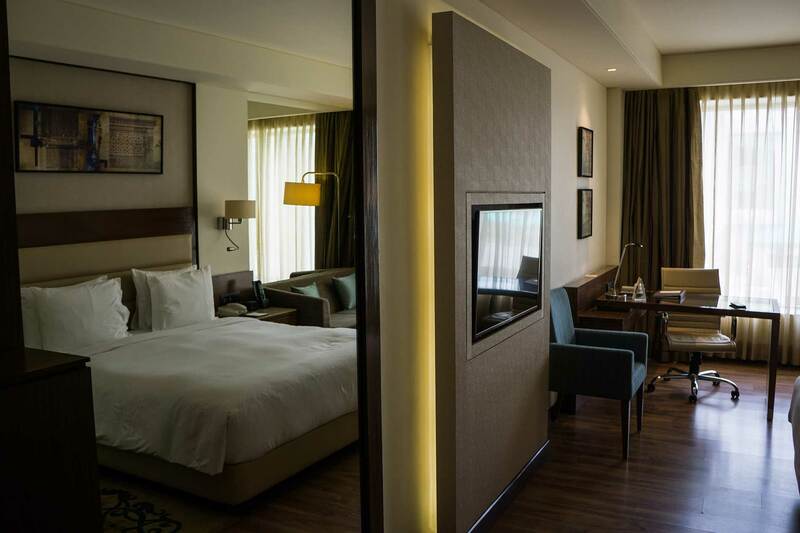 The Doubletree Agra hotel has clean and comfy rooms. 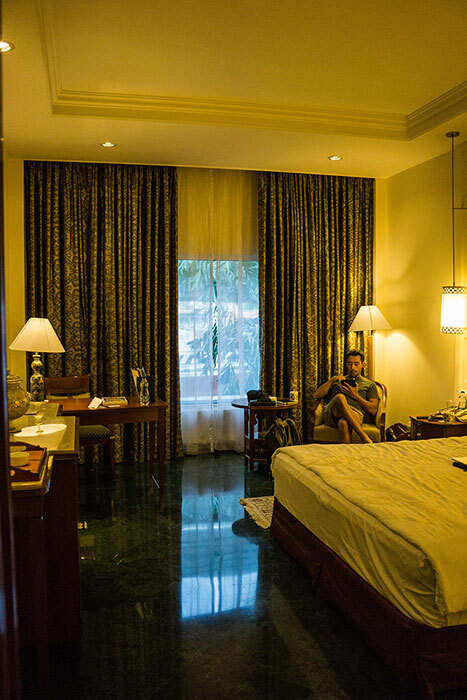 Josh enjoying the large and comfy room at the ITC Rajputana in Jaipur. View from our room at the luxurious Park Hyatt, Dubai. 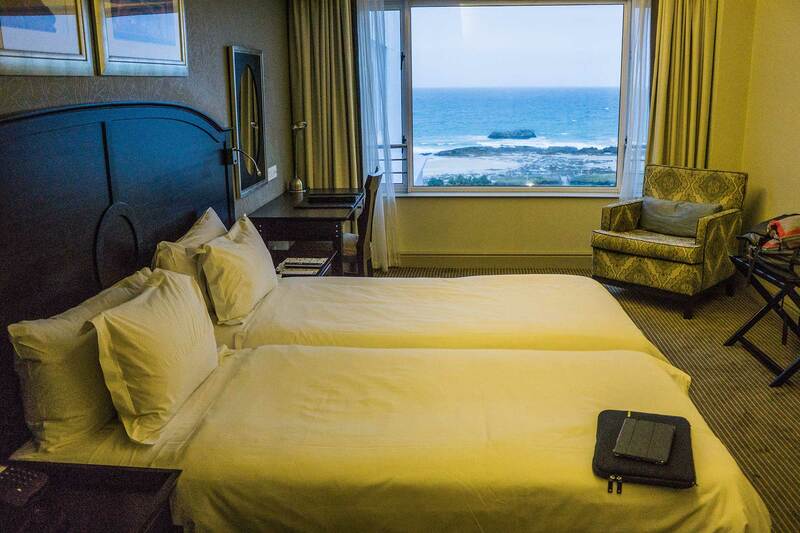 The Protea Port Elizabeth has direct access to the beach. 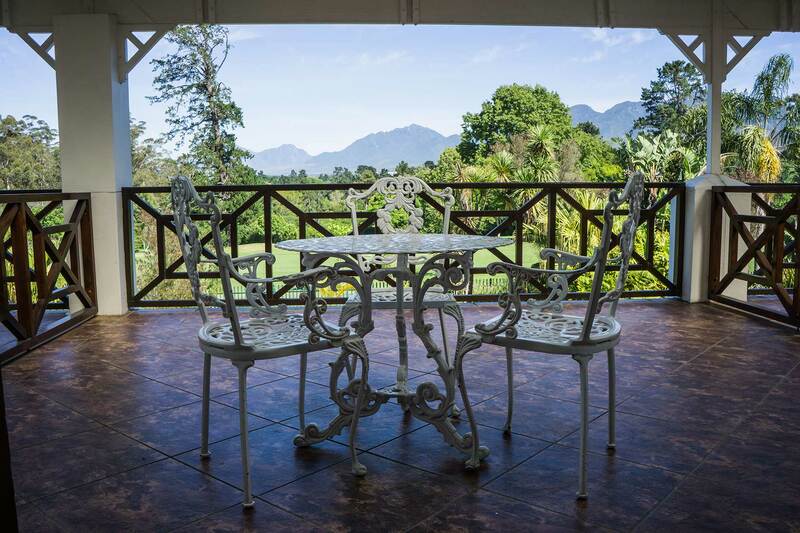 Outstanding views of the surrounding mountains and nearby George Golf Club from our balcony. 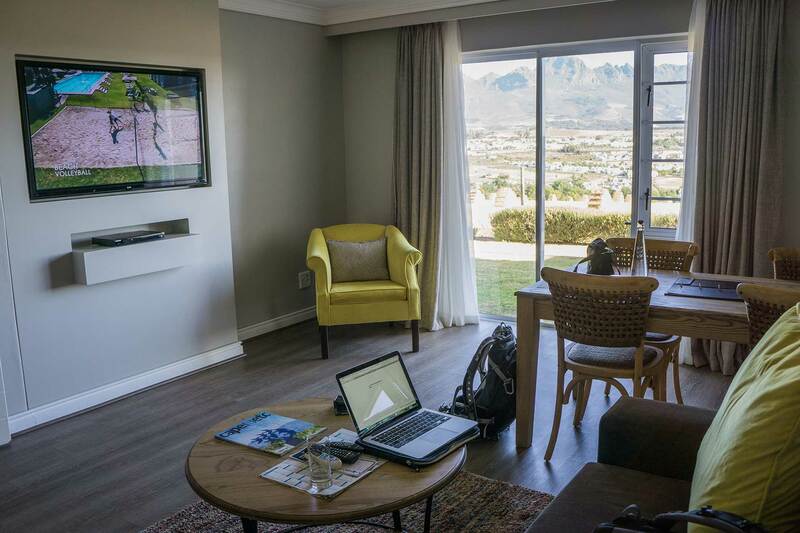 Incredible views and suites at the Protea Stellebosch. 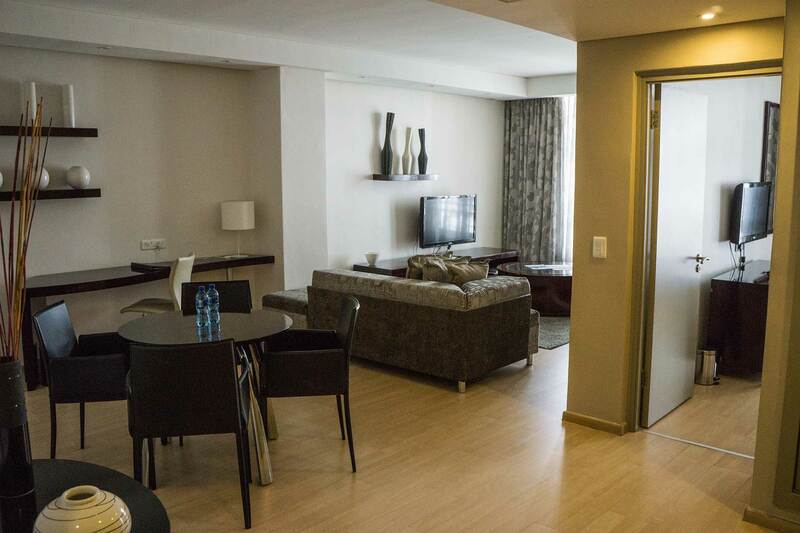 By far, the most spacious and fully-equiped hotel suite we've ever seen!